Spring is here in the Northern Hemisphere after a long, rough winter for so many! We just arrived back in snow-covered Minnesota a few days ago and had the joy today of experiencing the first 50 degree F (above zero) day here on the tundra! While it is a joyful thing for many, my heart goes out to all who are experiencing flooding from the fast snow melt on frozen ground. 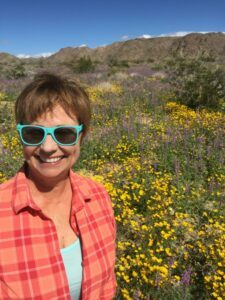 We got to see beginnings of spring in many places including; Joshua Tree National Park, the Central Coast of California, Oregon and Washington. It is my favorite season and it’s so exciting to get to enjoy it in so many different places. With all of this journeying about, my team and I have been putting the finishing touches on the HUG Kits and the new website. The technology is proving to be quite complicated to get the three parts of the Kits included (Physical book, Guidebook PDF & link to videos) and the option to purchase multiple copies at once onto the website so it’s taking a bit longer than we’d hoped. 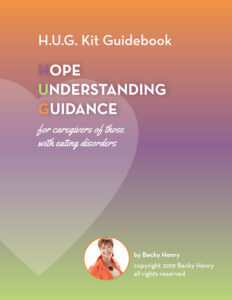 The launch of the HUG Kits will be May 16th (just after Mother’s Day) and in the meantime, I’ll keep sharing with you some insights from each of the 10 topics from the guidebook and videos that provide Hope, Understanding and Guidance for the HUG Kits. What structures will you put into place to help you get in the habit of practicing self-care daily? Who are people whom you can call on for support and what are the tasks they can do? I hope you are able to enjoy some spring weather where you are and want to remind you all that the next Monthly Free Group Phone Support is coming up April 3rd. Just email me if you or someone you know would like to participate and I will send the dial in info. There is info on my website under Group Support Options. Ask about special rates on bulk orders of the H.U.G. Kits to share with your families so they are less distressed. They’ll be ready in a couple of weeks! !